“That may be good science — but it is bad archaeology,” said anthropologist and archeologist Professor Rosemary Joyce in the Berkeley Blog last June. She was critiquing reports of archeological findings in Honduras. 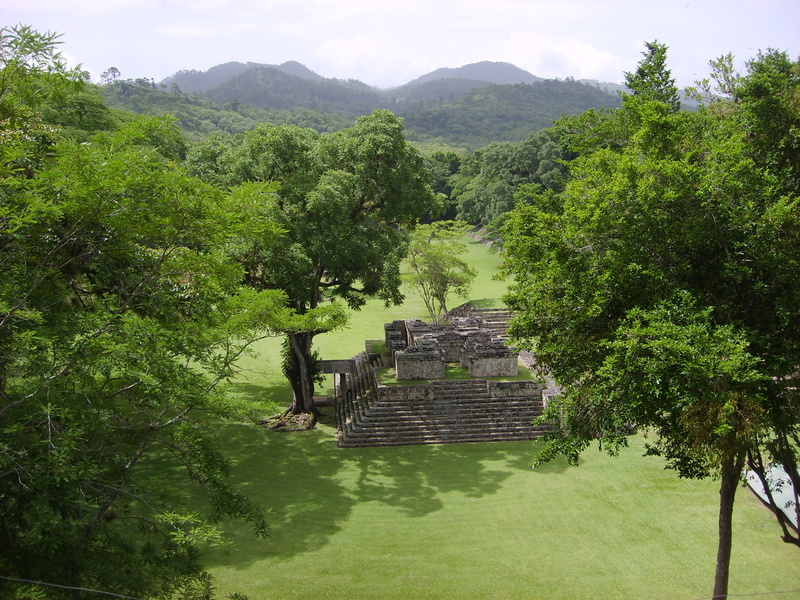 It seems that researchers, although not archeologists, used a plane outfitted with LIDAR, a laser detection technology, to map remote portions of the Honduran jungle rumored to house ‘lost cities.’ Joyce publicly maligned the findings. Was it simply the technology’s newness that upended her? Joyce’s response caused me to pause. How have I reacted to ‘new’ in transition? Or better can I detect in the normal course an opportunity to try something ‘new’ or even an empowering ‘new’ angle? So, are you more like Joyce or Fisher? A recent Research Jam participant, Carolyn, shared a Joyce-type story. She spent > 20 years in technology, investing her heart and soul into her work. Unexpectedly, about a year ago, she was terminated. For the first 90 days she characterized transition as embarrassing, unnerving and sad. As her process continued her characterization changed. She used words like empowering. Liberating. More Fisher-esque. She shared, ‘I could have started my transition a couple of years ago. We had finished a large project. I should have left at that time. It was a natural cycle.’ For whatever reason she didn’t recognize the moment. Was it security? Comfort? Complacency? Recognizing the opportunity to pursue ‘new’ didn’t float across her radar screen at that time. She acknowledges that ‘new’ could simply have been new behaviors, like networking more regularly, that would have made her ultimate transition more easy to handle. I characterize my last job switch as very Joyce-esque. I had been working as a P&L leader for Perot Systems. What does that mean? P&L means that you own the profit and loss for a specific business within a larger company. It was fun but I paid a heavy emotional tax with the job due to two infants at home and large business travel requirements. Time for a new job? Here was my miss…I really needed a transition but instead sought a job change. Replicate the former job with a few improved elements….. Enter Iron Mountain where I ran HR and Administration globally. My 1st staff position in >20 years working. I reasoned that it would get me off the road, or so I thought. 4.5 years later I had learned an enormous amount. But I also learned that the job wasn’t aligned with who I was and the impact that I wanted to make. When switching from Perot I failed to see the need for truly new. I think that I was heavily influenced by what an acceptable job would or should be. I thought that switching from A to B would allow me to maintain a decent title, a good salary AND limit the travel which in my mind was the key failure point. I didn’t understand until sheer physical & emotional exhaustion, and a few other complications, took over that there was no other way forward than to transition. I’ve found it empowering. Energizing. And scary. My image of ‘ground-truthing’ is a dusty archeological site whose pace of discovery is limited by tooth-brush wielding interns. It hardly takes an airplane fitted with fancy technology to imagine that ‘ground-truthing’ could benefit from a little new thinking. I guess my only question is….how about you? This entry was posted in Observations on Transition and tagged Berkeley Blog, career transition, LIDAR, linda rossetti, novofemina, Novofemina's Research Jam, observations from a women's transition, The New Yorker: The El Dorado Machine, transition, women's transition. Bookmark the permalink. Loved this – thanks so much. You have to take risks and question old assumptions or you will never advance! !